Further experiments using traditional techniques in unconventional ways have resulted in the Cast series. 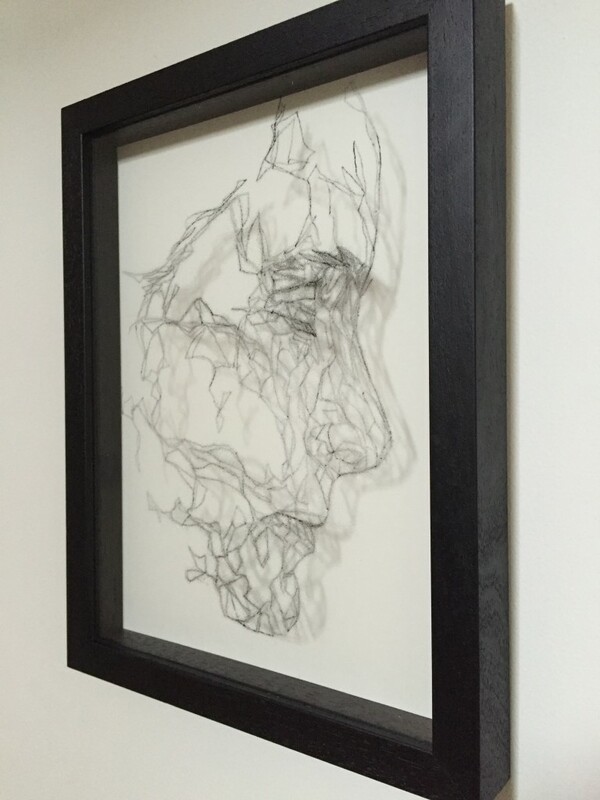 The single, continuous, rapidly drawn line appears suspended, and the shadow it casts encourages the viewer to look beyond the surface, behind the mask. Mark Youd is an artist working in Southerndown, near Cardiff on the South Wales coast. He trained as a draughtsman and, in parallel to a successful career as a designer and technical illustrator, he has developed his personal artistic practice, exploring the possibilities of the artistic portrait.